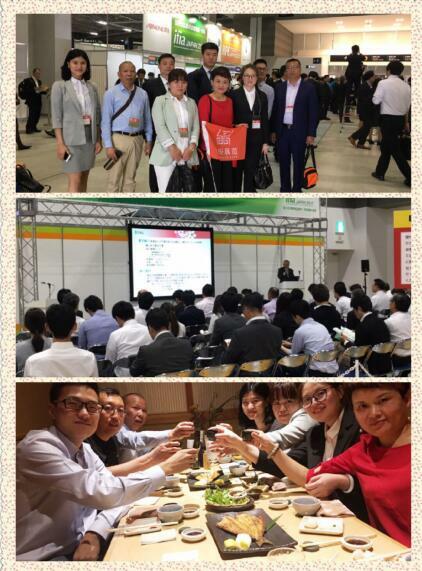 As the leader of the first group exhibition in IFIA & HFE Japan 2013, it is more than four years old.Time flies, I have the honor of the third time in PVG on May 23, 2017, once again set foot on the tripod Topservice business trip to Japan. Japan is surrounded by sea, resources are limited, raw materials are largely imported, and Japan is one of the world's three largest markets for food ingredients and additives.In recent years, the growth rate has been around 13%.Japan is also one of the world's most actively developing new foods and alternative foods.The speed and quantity of health food in Japan is one of the world's leading professional markets. In Japan you may have the feeling of illusion in China, panoramic view of Chinese stores the bar streets, the same yellow skin, black hair, want to see in the tang dynasty culture of modern inheritances, then go to Japan.But there is a difference between Japanese eating habits and Chinese.The Japanese diet is more delicate and healthy. 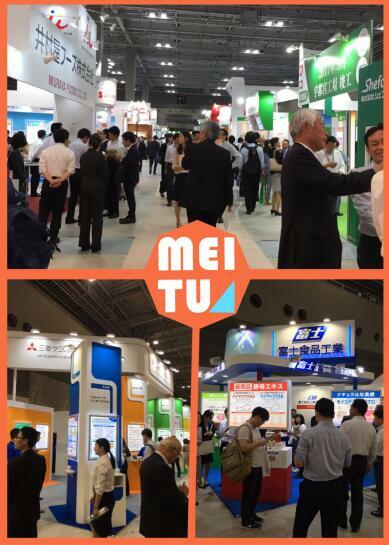 After a brief introduction to Japan, our focus is on the exhibition.Japan's IFIA 2017 is Japan's largest food ingredient, additive and health food show.During the three-day event, the number of professional audience members continued to fill the pavilions .This exhibition focuses on three major categories: lactic acid,pigment,sweeteners.With an area of 12,000 square meters, the exhibition attracted more than 430 exhibitors and more than 31,000 professional spectators.The world's leading brand of food ingredients and additives have gone into the circulation market of Japan, Japan is also one of the largest health care consumers actually at the same time, the whole Japan two-thirds of consumers buy health, vitamins and food supplements, and ingredients and health food is show the products of the company and the enterprise image, the best platform for entering the Japanese market.According to the scene to visit a Chinese exhibitors attend five consecutive terms is introduced: the Japanese market is a need to be patient and focus on product quality, rigorous earnest work of the spirit of cooperation.The three days of the show had been well organized. And then we're on our way to the scenic tour.We took a antique pirate boat, and breathed fresh air on the rippling, surrounded by a green scallions around. Ship to go forward, the iconic Japanese famous places,Mount Fujiin, is covered with snow and tell you, the beautiful scenery never regardless of national boundaries, fascinating.Then we went to Japanese peculiar landscape place great boiling valley, although after a volcanic eruption brought disaster, but also poses a unique landscape and the effect of hot spring industry,.After visiting the great boiling valley, we come to the so-called Japanese small jiuzhaigou: wild sea of eight.Nature use its magical and unique charm to lead us to the enjoyment of the common beauty.In the night, the air is mixed with the cold mountain wind, and we turn back into the hot spring bath of the heat wave.The beautiful ground bubble a comfortable hot spring bath, dispel a few days of busy exhaustion. 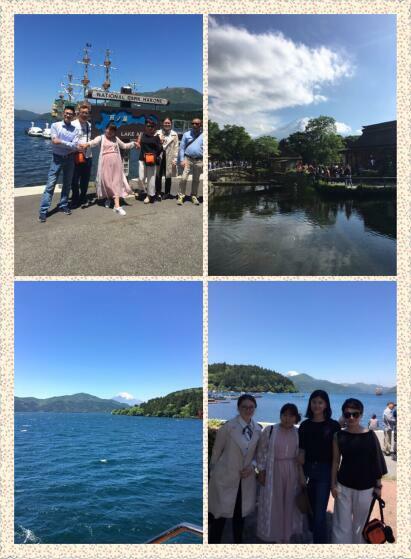 A short week ended with the warm bath.On May 28, we set foot on our return flight, Looking forward to IFIA & HFE Japan 2018!